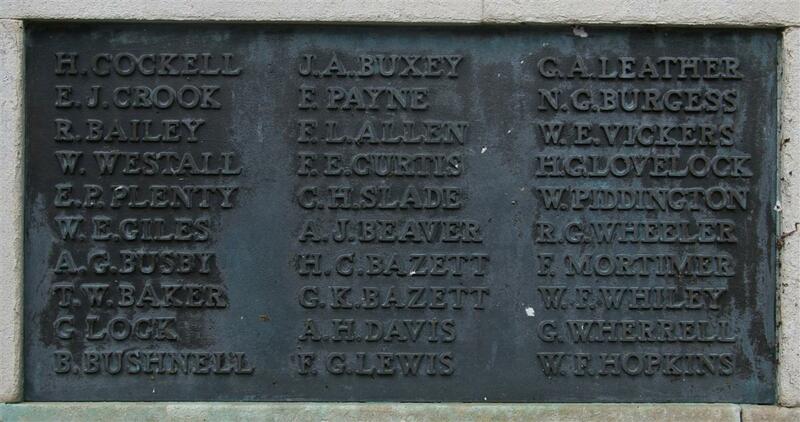 The name R Bailey appears on Panel 9 of the Newbury Town War Memorial. He is not on any other West Berkshire memorial found to date. There are 68 R Baileys recorded in the Commonwealth War Graves Commission’s Roll of Honour but there is no reference in any of their records of a link to Newbury. Mr and Mrs Bailey of Queen’s Road, Newbury, have received the sorrowful news that their son, Lce-Corpl Reginald Bailey, of the 1st-4th Royal Berks (Territorials) has met with a very serious accident whilst on service, and in in No 1 Hospital, in France, suffering from a badly sprained back, and tetanus has set in. Lance-Corporal Bailey had been in the Territorials some time before the war, and with his battalion went over to France some two years ago. Before crossing the water, however, he was put in the signalling section, and having a liking for it he soon made himself proficient and no doubt it was while doing his ‘bit,’ he met with such a serious accident. Lance-Corporal Bailey was an apprentice at the ‘NWN’ when the war broke out. A later telegram from the Matron states that he is receiving every attention, and is as well as can be expected under the circumstances. However, it seems that Reginald survived; he was discharged from the Army on December 1917 owing to his illness, but he lived until 1963 and is buried in Newtown Road Cemetery. Other local R Baileys - R H Bailey (ASC) from Cold Ash and R C Bailey (R Berks) from Bucklebury also appear to have survived the war. A better possibility for the name on the memorial is Richard Bailey, Royal Berkshire Regiment. However, the only Royal Berks casualty in the CWGC Roll of Honour is R G Bailey. He was born in Evesham and lived in North Shields prior to enlistment. Perhaps he spent a few years in Newbury during his childhood and left relatives in the town who would ensure his name was included on the memorial? R G Bailey died, probably of wounds received in the Bethune area, on 30 August 1916 and is buried in grave I.J.97 at Choques Military Cemetery. There were a number of Bailey families in Newbury - but, again, there is not enough information to show which lost a member to the war. In short, there is no way of determining for certain which, if any, of the deceased R Baileys is referred to on the Newbury Memorial. If anyone can help to identify this man, we should be very grateful to hear from you.